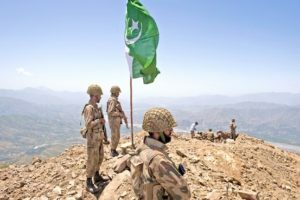 WASHINGTON — Pakistan is sending its army to the ethnic Pashtun region of North Waziristan to battle Taliban insurgents in the region. Reuters reported that Pakistan will try to weaken strong Taliban elements in the area, which have also helped Afghan Taliban insurgents against Afghan government and NATO forces. Locals accuse the Pakistani army of killing dozens of civilians in their operations so far, but it could be a direct response to the Taliban-backed suicide bombing of an army post checkpoint at the Afghan border on December 18th. The army said that it killed 30 militants in their operation so far, most of them ethnic Uzbeks.